Utah is committed to giving everyone the best experience possible on the slopes. Weather you are powder hound, a cruiser on the groomers or a beginner, Utah has everything to offer. To make the deal even sweeter, there are plenty of packages to help subsidize the cost for families and immerse new skiers/riders to the sport we love. One option is Ski Utah's 5th and 6th Grade Passport Program, which is offered to kids nationwide. Fifth graders receive three free lift tickets at each of Utah's 14 resorts; sixth grader receive one free lift ticket at each resort. Brighton Resort this year expanded the kids program, allowing kids 10 and under to ski for free all season long with a paying adult. If you can only make a few turns in the afternoon Alta Ski Area offers a $10 ticket ($5 ticket reload) to ski after 3 p.m. on Sunnyside, Albion and Cecret. Brian Head University Program is our riskfree program for first time skiers or snowboarders of all ages. They guarantee their Terrain Based Learning™ program will have you skiing or snowboarding in just three lessons or you'll receive a full refund. Park City launched Epic SchoolKids in Utah, offering five free days of skiing and riding at Park City for all Utah's Kids, Kindergarten through Fifth Grade. It includes a free lesson during the month of January as well. January is Learn to Ski and Snowboard Month. 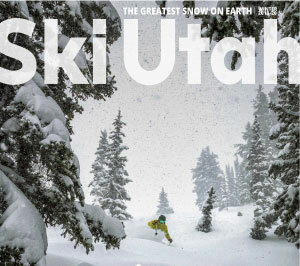 Many of Utah's resorts participate and offer packages similar to a lift ticket, rentals and lessons for $49.